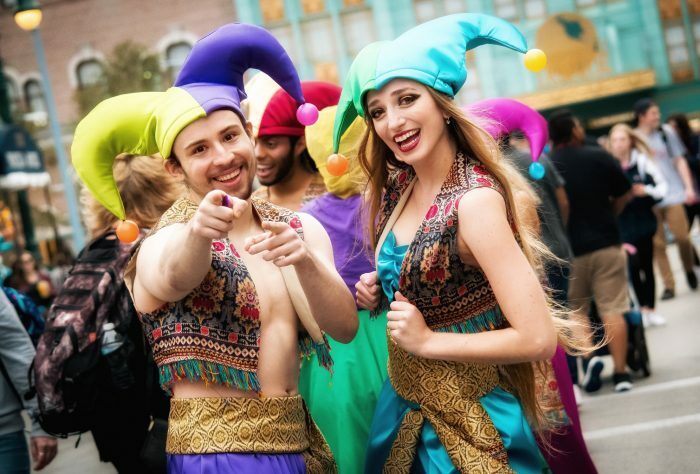 SATURDAY SIX: 6 Reasons We Love Universal’s 2019 MARDI GRAS Celebration! 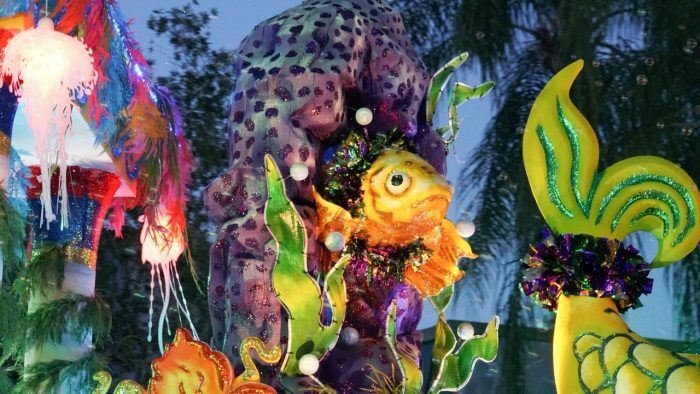 This week’s SATURDAY SIX takes a look at the Universal Orlando Resort’s MARDI GRAS Celebration! 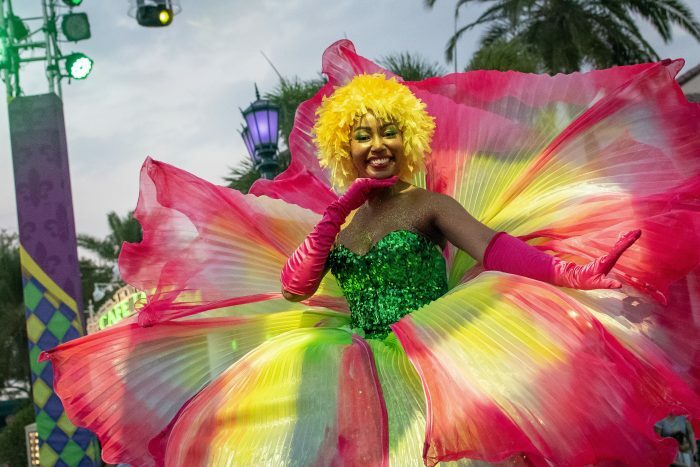 One of our favorite events of the year takes place at Universal Studios Florida and it is included with regular park admission. 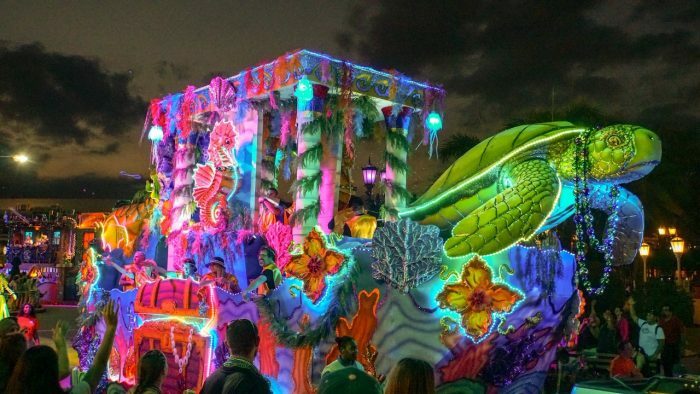 It has unique food options, great music, and Universal’s best parade. 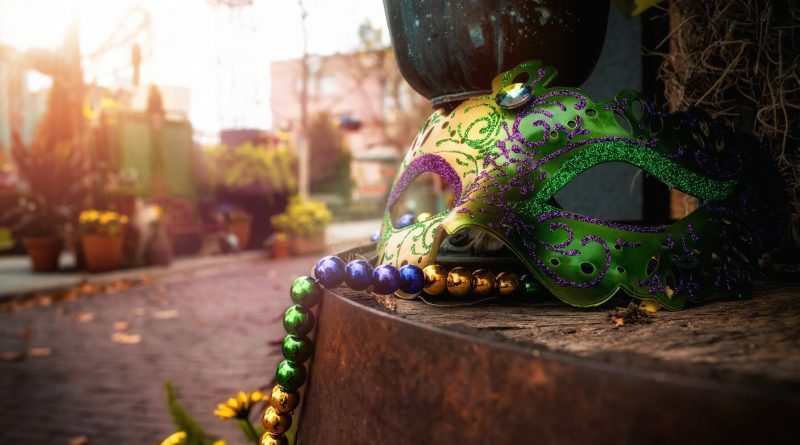 That’s right, we’re talking about Mardi Gras, and today we’re going to look at six reasons why this is the best party outside of New Orleans itself and we’ll start off with…. 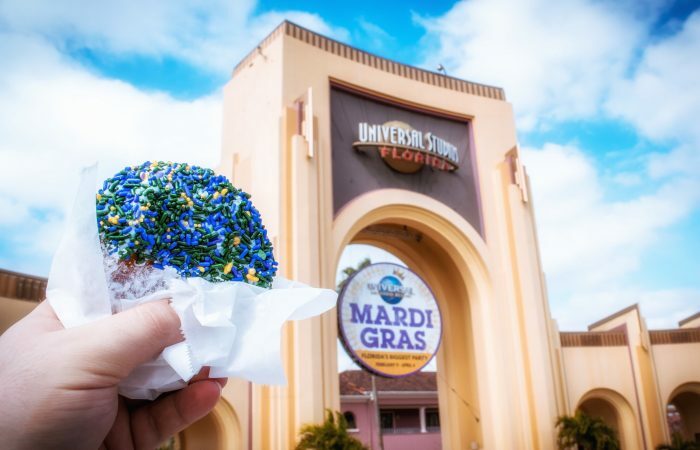 We’ve loved Voodoo Doughnut ever since they opened last year, but our love has only gotten stronger thanks to a series of donuts exclusive to Universal. 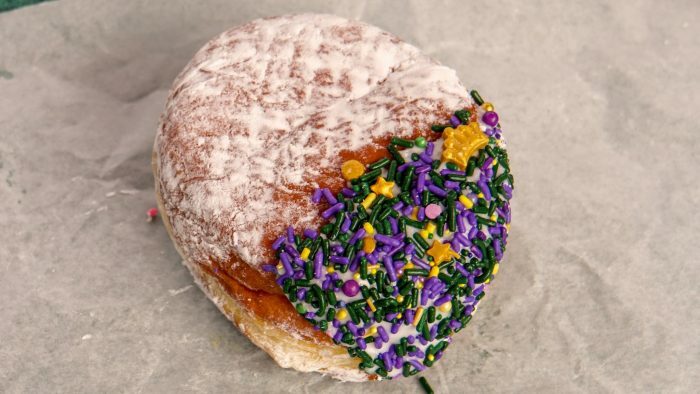 We’ve had limited-time donuts themed to last year’s Jurassic World film, Halloween Horror Nights, Grinchmas, and more. 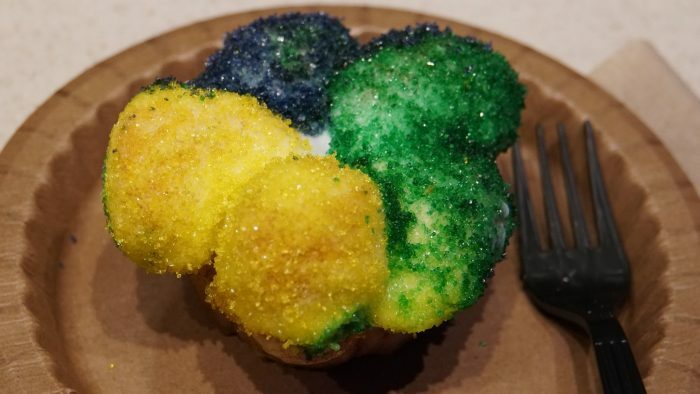 We were hoping for a Mardi Gras-themed creation, and we got one with a beignet-like donut that is half dipped in vanilla, half dipped in sugar, filled with Bavarian cream, and topped with colorful sprinkles. 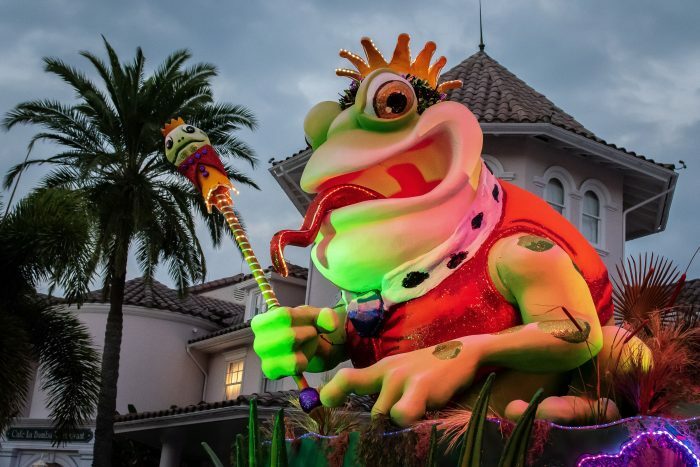 One of our favorite places on Disney property is Port Orleans French Quarter and a big reason for that is the Cajun-style food. 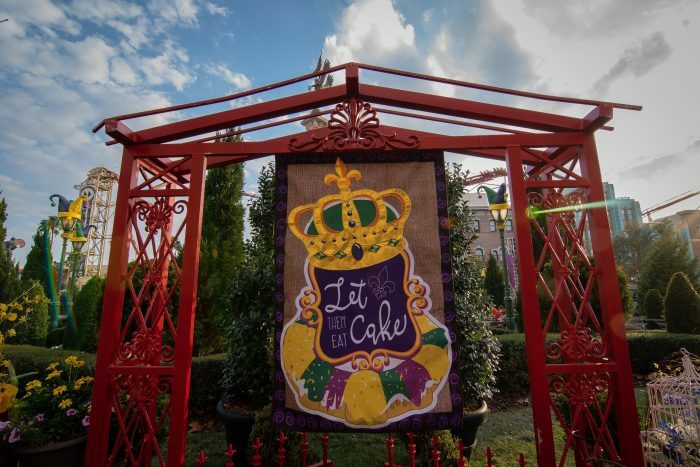 Beignets, king cake, catfish po’ boys, shrimp gumbo, red beans & rice, Andouille sausage, crab etouffee, and jambalaya are all on the menu at Universal’s Mardi Gras. 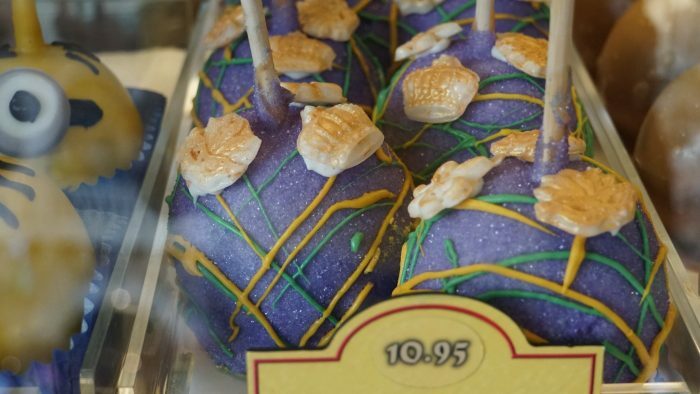 In fact, these options in the French Courtyard combined with the offerings at Fast Food Blvd and Diagon Alley just may make USF the greatest single place on Earth for theme park snack eating. 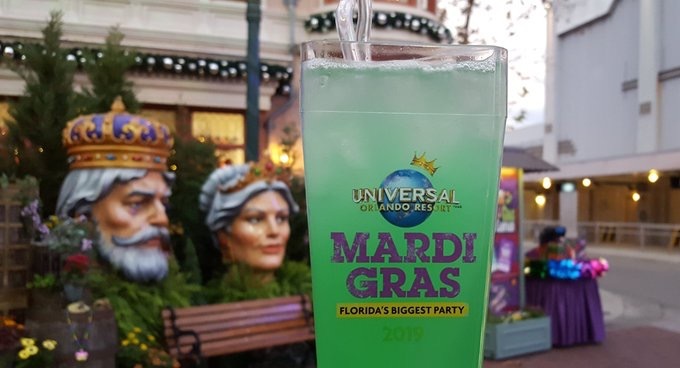 This year there is not only a new item with GATOR BITES, but a whole new way to experience eating your way around the French Quarter Courtyard with the tasting lanyard. 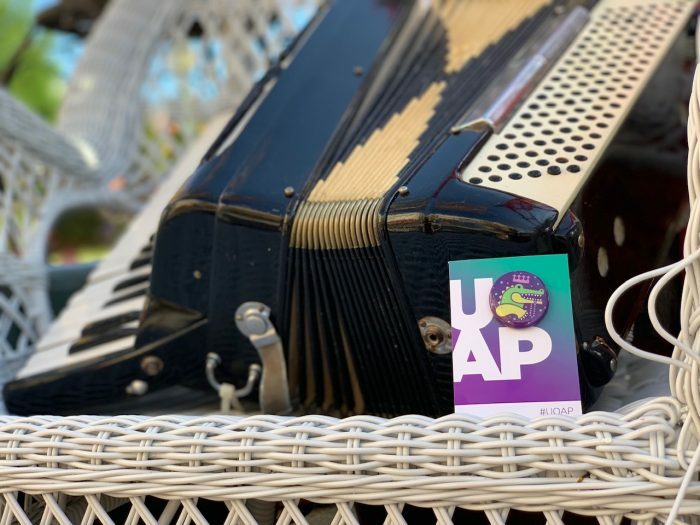 You can get a five item lanyard for $30, or a ten item lanyard for $50 (Universal Annual Passholders can get a 15 item lanyard for $60!) With food items ranging between $4.99 to $6.99, this can range anywhere from a good deal to a great one. 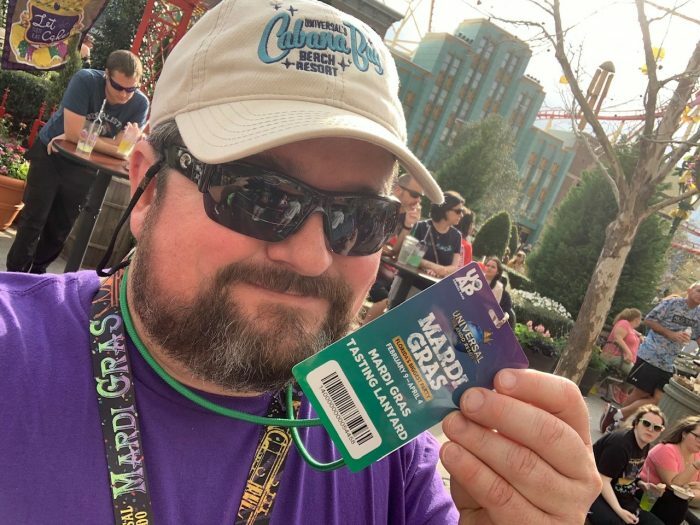 The lanyard can also be used to order beer samples (9 ounce pours). 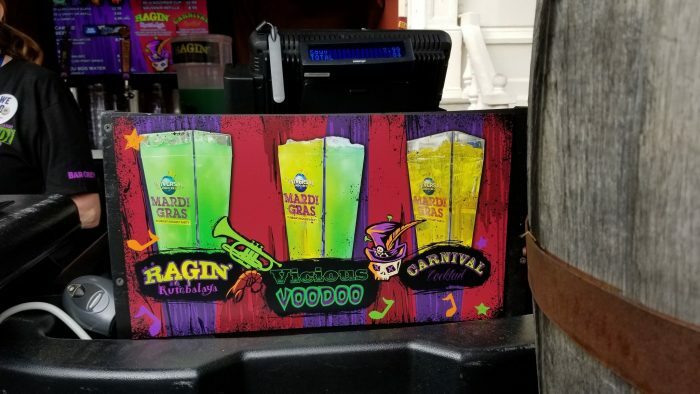 Another new entry to Universal’s Mardi Gras food offerings is the Bayou Boil. 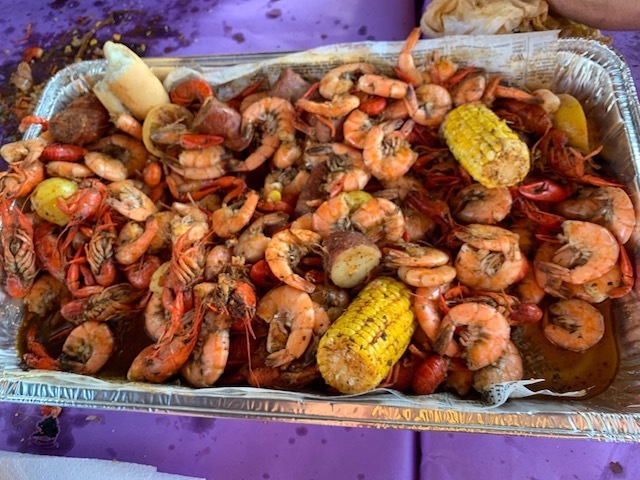 For $59.99 per adult and $39.99 for kids (with UOAP discounts also available), guests get to experience one hour at an all-you-can eat Louisiana-style boil. 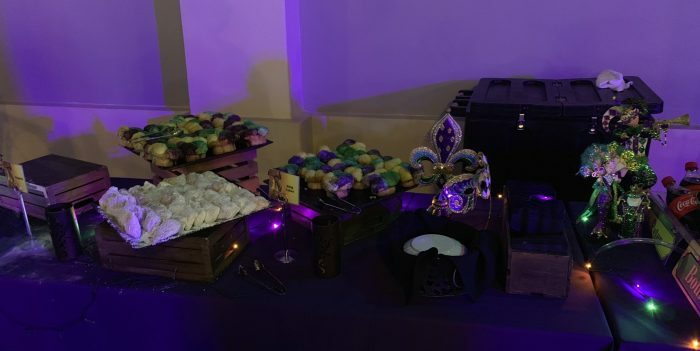 Afterwards you then get access to an exclusive parade viewing area where there is also a selection of snacks and non-alcoholic drinks, including king cakes and beignets. That’s right. 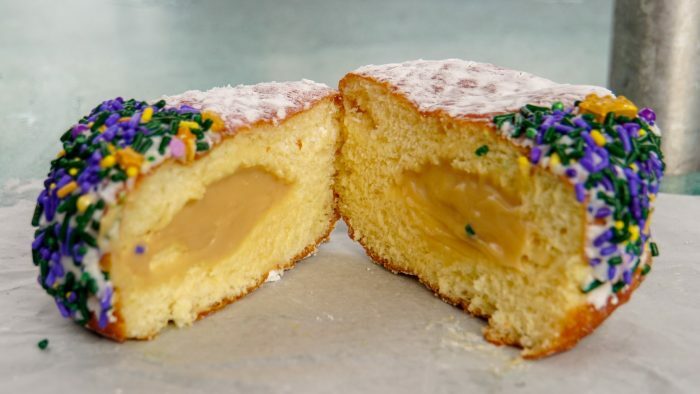 All you can eat beignets. 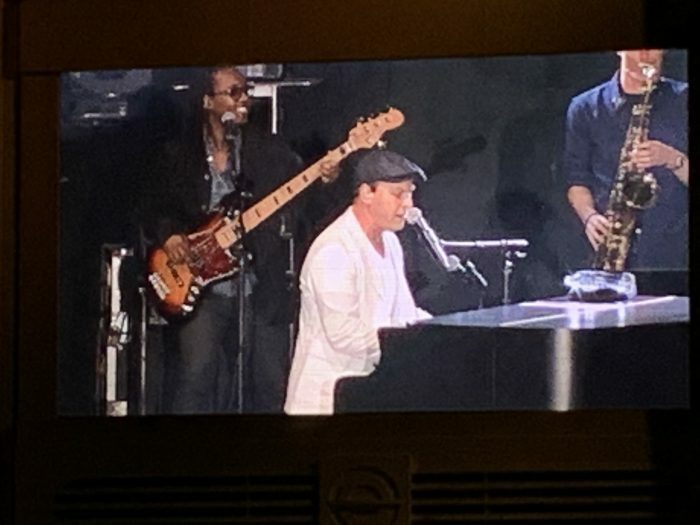 This is like that moment in Ocean’s 11 when George Clooney tells Brad Pitt that the house always wins, but sometimes there is that one moment where you can beat the house. 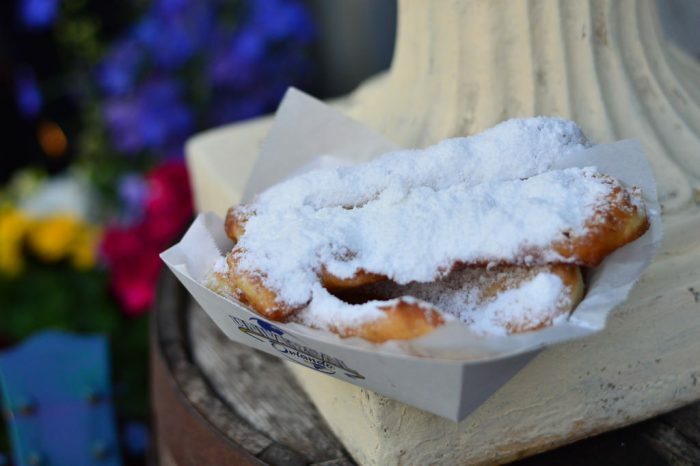 All you can eat beignets? 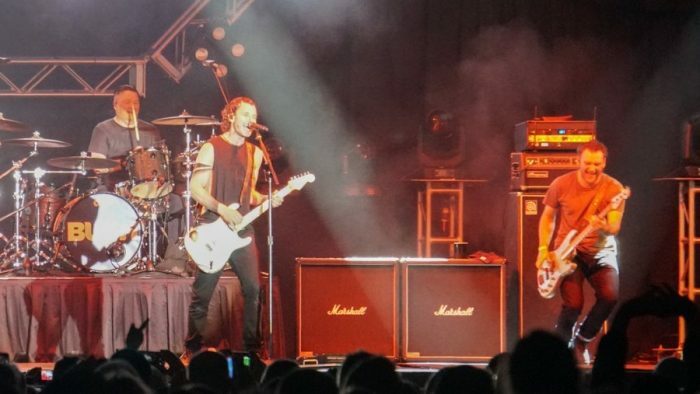 This is my moment. 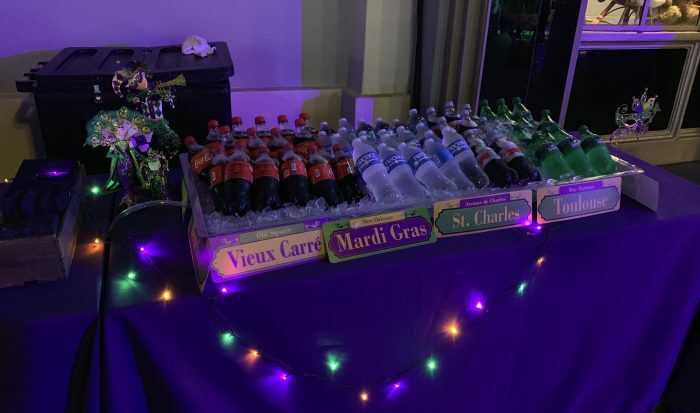 Some of the drink options at Mardi Gras. 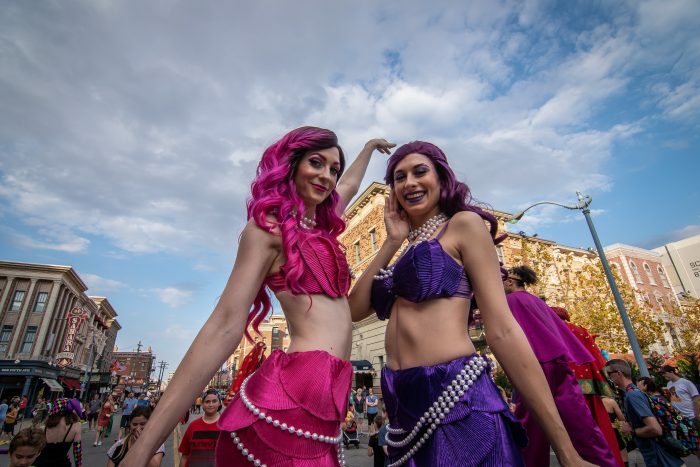 Between the big concert musical acts and the more personal smaller bands located near the Courtyard, Mardi Gras has a lot of great music going on. 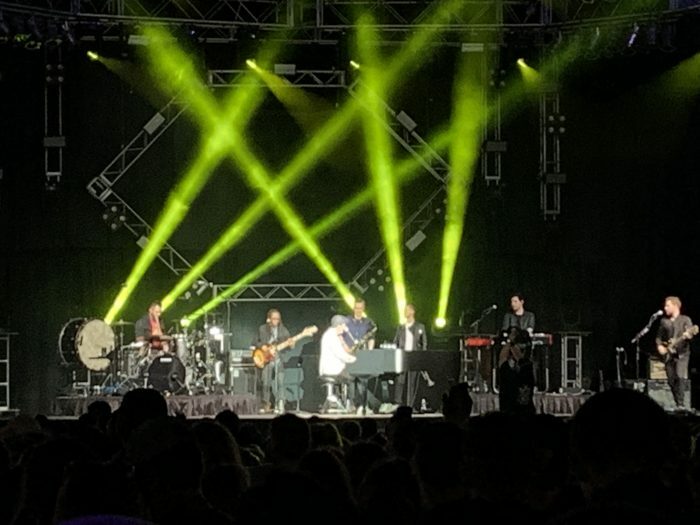 Headline acts play on Saturday nights, and some major league musicians are booked for the weekends including BUSH, Gavin DeGraw, Macklemore, and Pitbull. 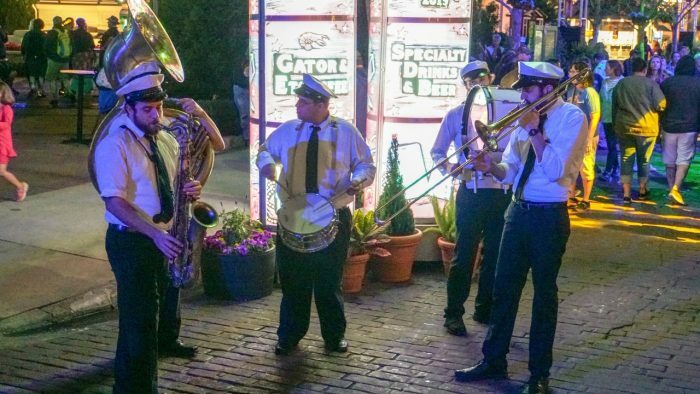 However, live music takes place every single day in the Courtyard. 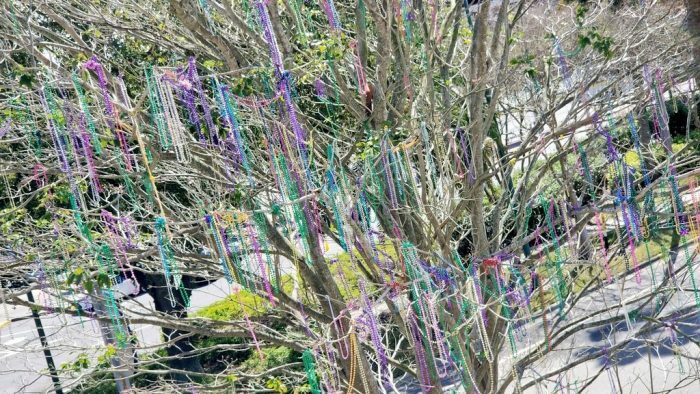 Even better, the smaller acts are all from New Orleans. 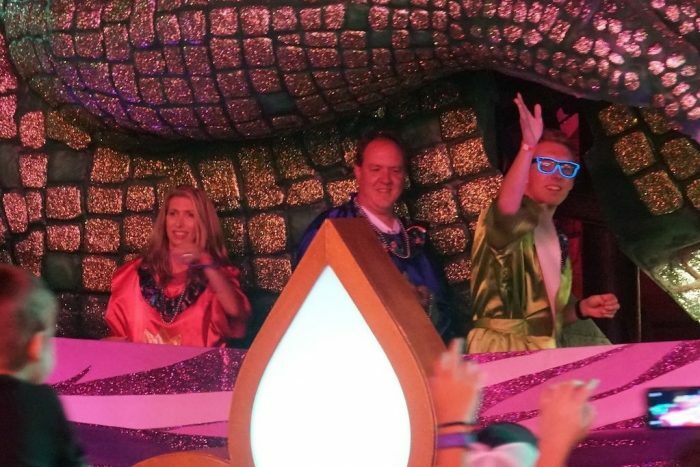 Maybe the biggest news this year was the debut of PIZZA FRIES at Mardi Gras. 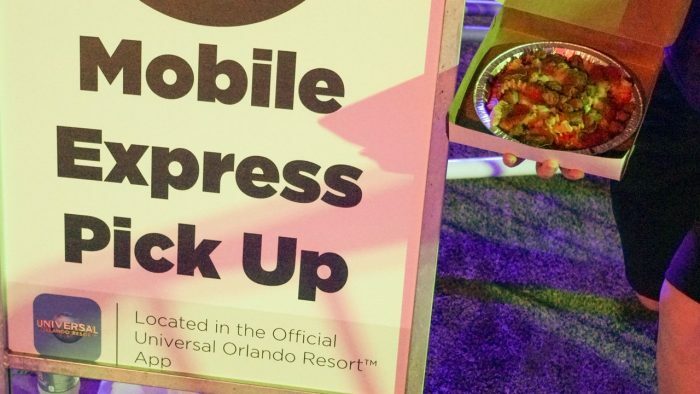 Normally a staple of Halloween Horror Nights, pizza fries are available on concert nights and can even be mobile ordered! Our prayers have been answered! 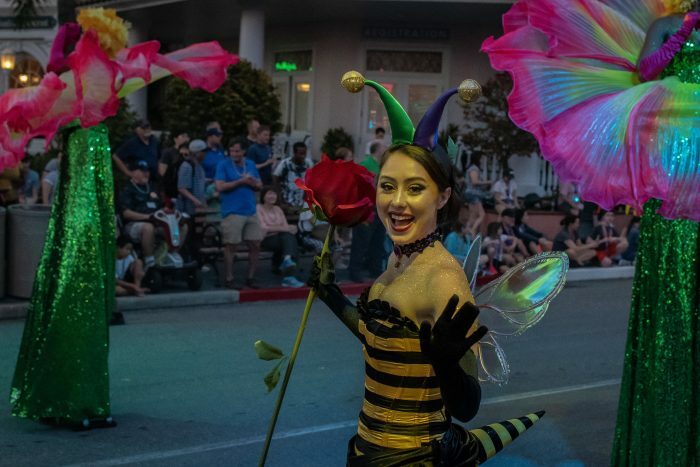 Get your cameras ready because there are a ton of colorful characters throughout the park, and all of them would love to take their pictures with you. 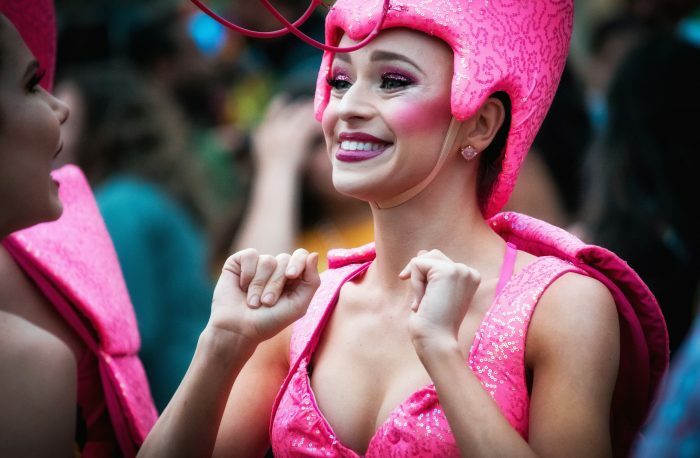 The street performers include groups of characters that are representing each parade float later in the evening. 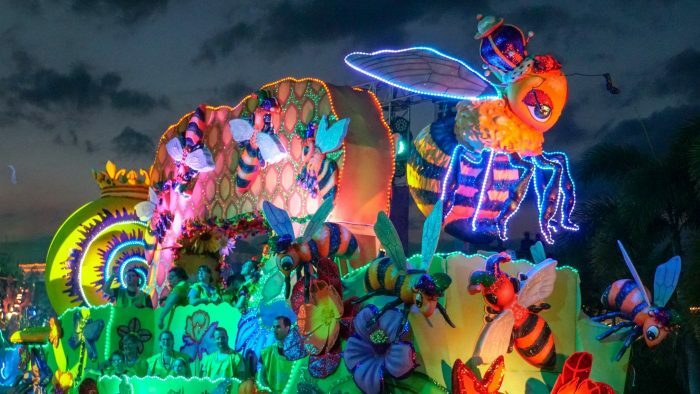 The interactions that come with some of these characters can really elevate your Mardi Gras experience, and you just may get a fun surprise (but we’ll get to that later in the article). 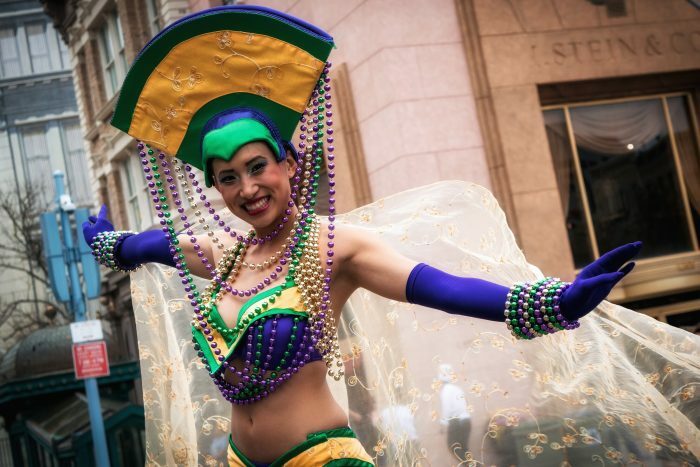 We mentioned earlier about interacting with the street performers, right? 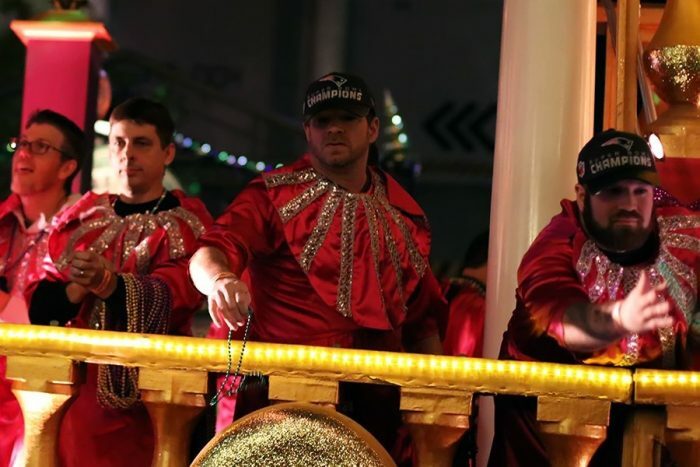 Well that is how you can get a chance to obtain an official Mardi Gras coin. 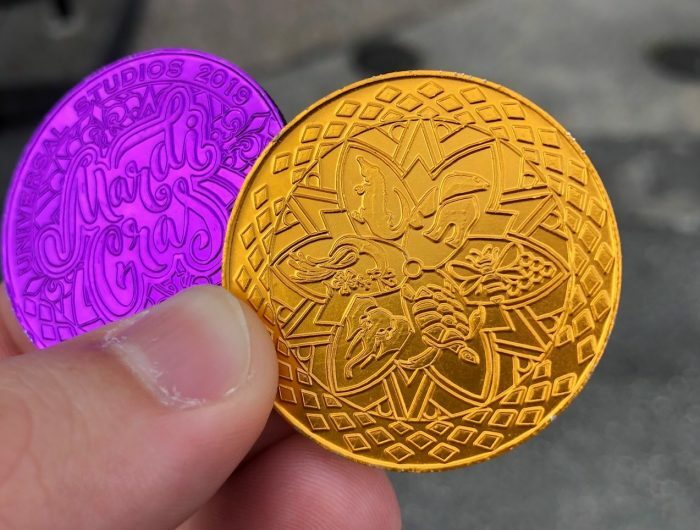 Sometimes the characters will ask you trivia, other times they will play a fun game with you to “earn” the coin, but no matter how you get your hands on one, this little coin represents everything we love about theme parks. 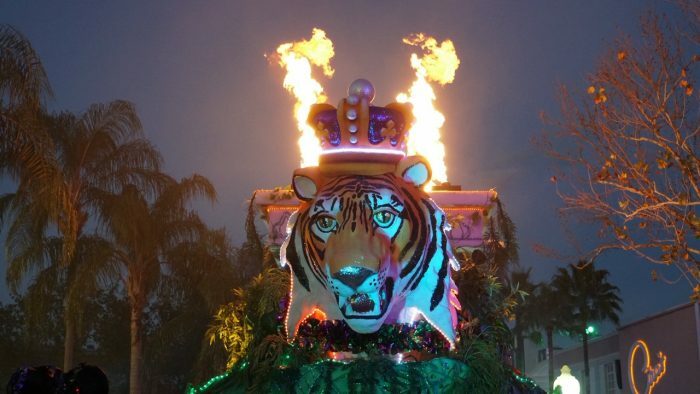 This years coin is themed to the various floats in the parade. 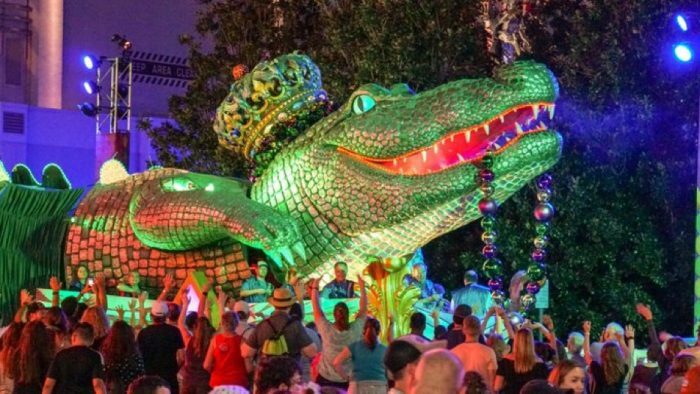 Don’t worry, all of the classic floats are also in the nightly parade, including the King & Queen, Bourbon Street, Jester, and everyone’s favorite, King Gator. 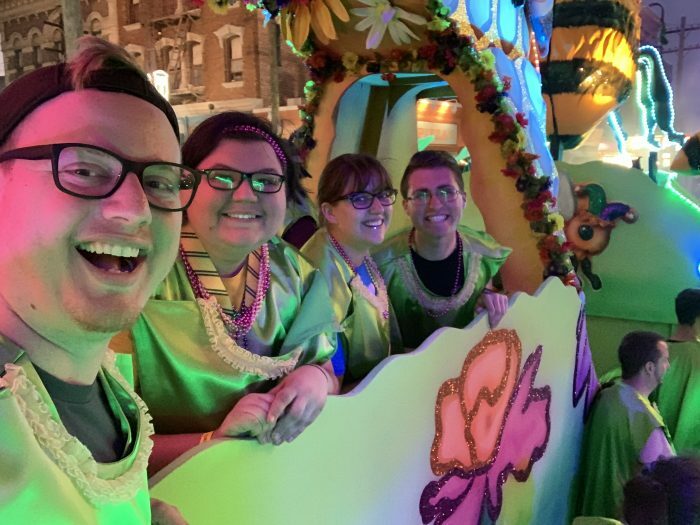 # 1 – YOU Can Be In The Parade! 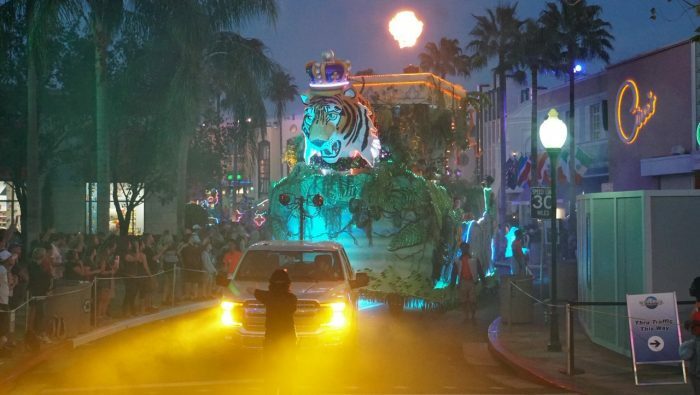 Here we have my personal protege Hunter Underwood on the new insect float from this year’s parade. 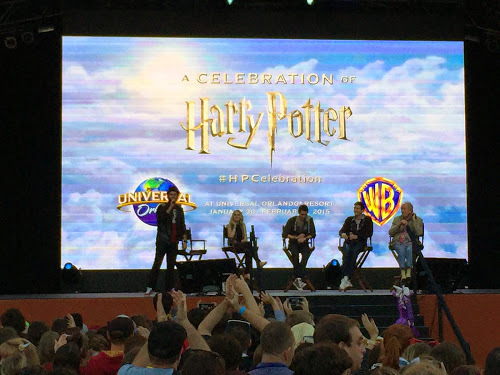 He is joined by some true heroes of the theme park community. 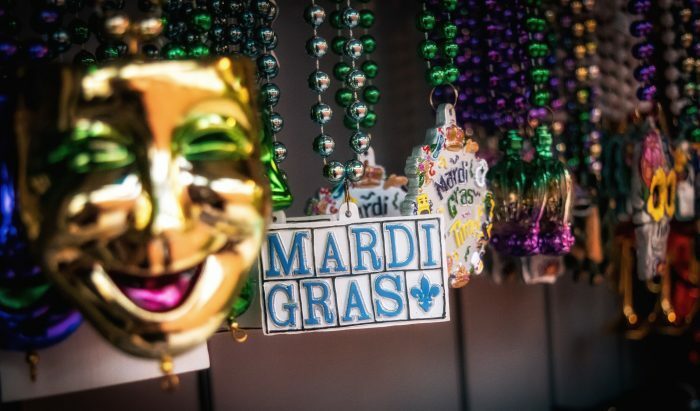 Honorable Mention – We’re here for the beads! 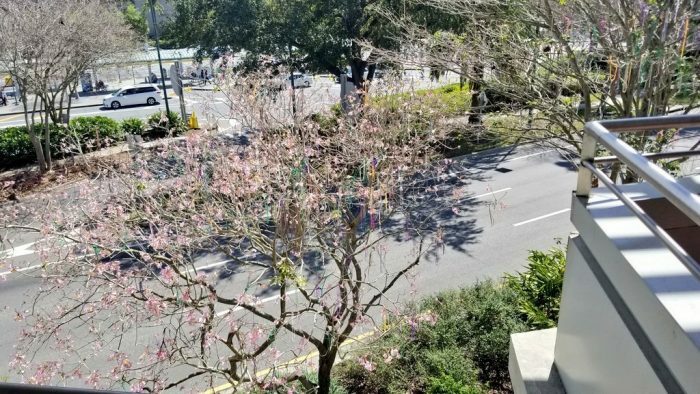 AND THE BEAD TREES! 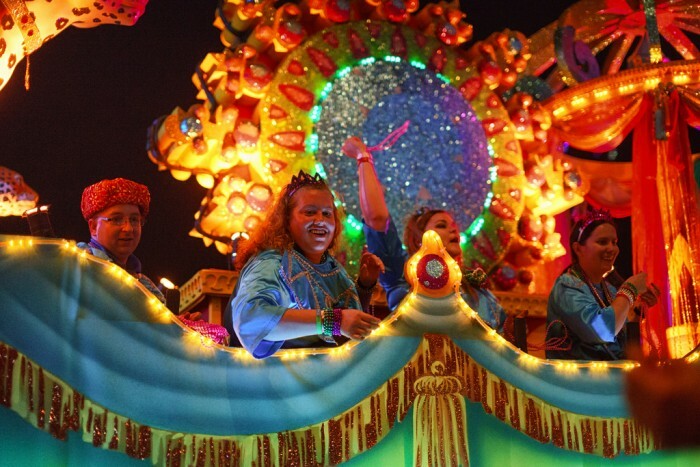 Beads are an important part of Universal’s Mardi Gras celebration. 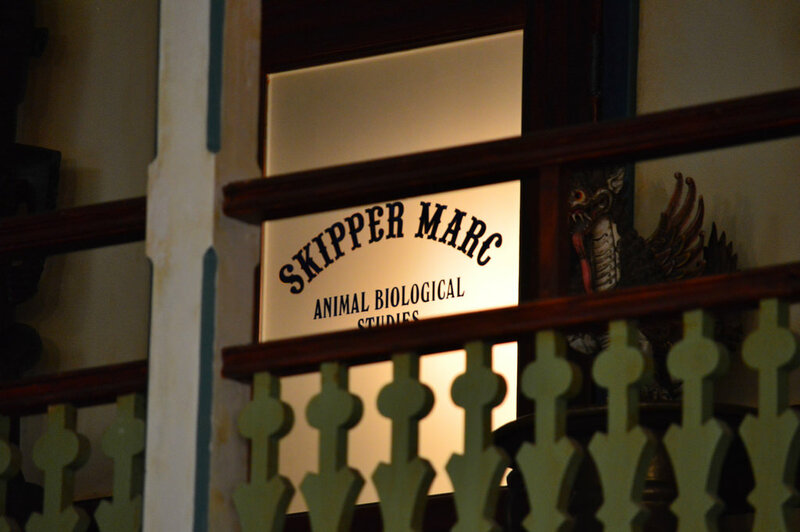 You’ll see them everywhere, and there are some really unique ones available to purchase throughout the park. 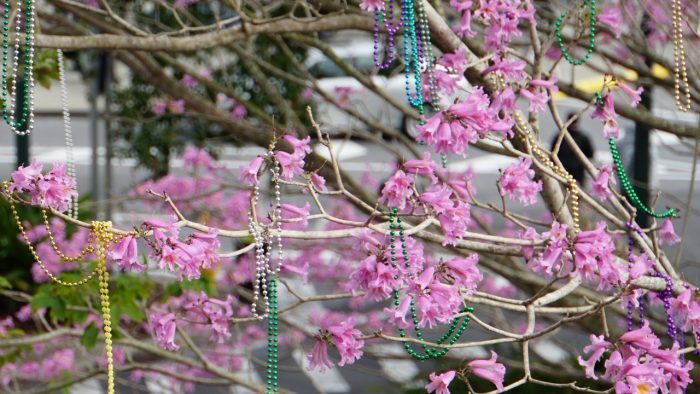 When leaving Mardi Gras, you’ll more than likely notice the “Bead Trees” on the way back to the parking garage. 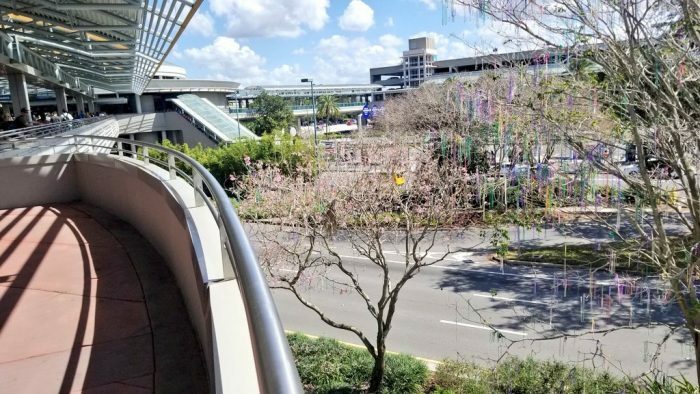 These are a normal trees that quickly become covered by strings of beads thrown by guests and begin to turn into a colorful plant life that seems to belong on Pandora: the World of Avatar. 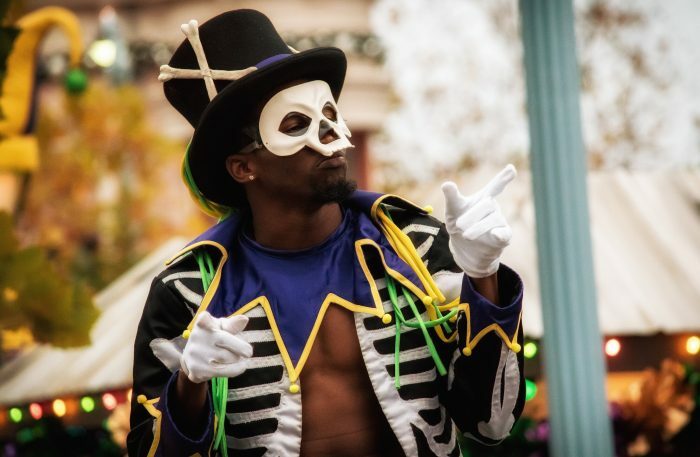 So there you have it: Six Reasons We Love Universal’s MARDI GRAS Celebration ! 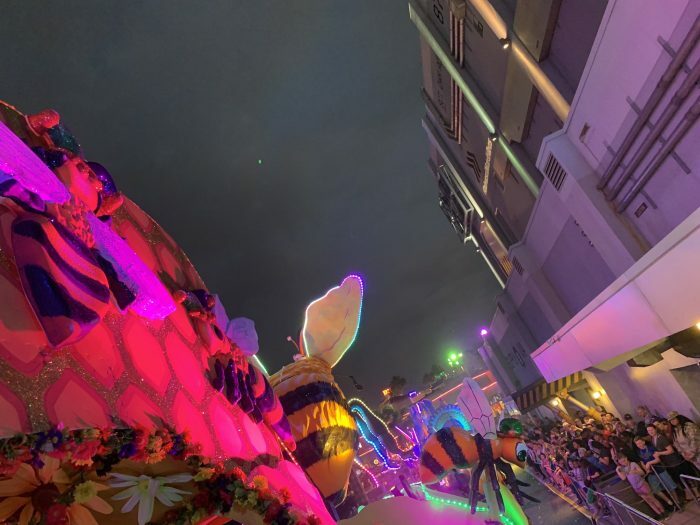 See you next weekend for the latest installment of the SATURDAY SIX, where we’ll look at something fun from the world of Disney and Universal. 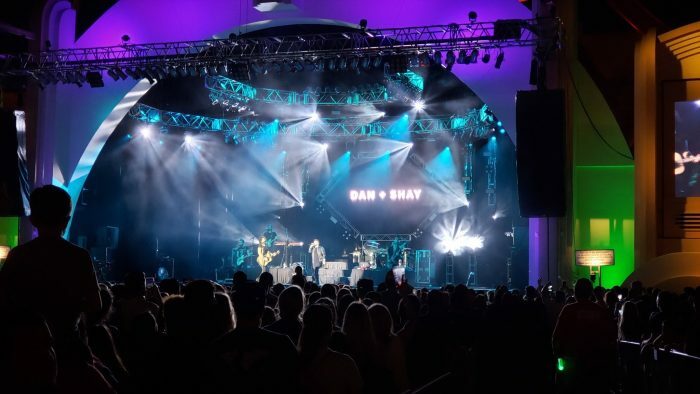 If you enjoyed yourself, be sure to check out The Magic, The Memories, and Merch! 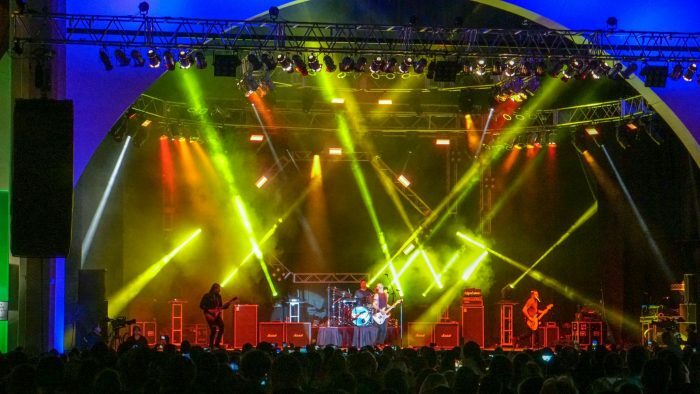 articles, or, for your listening pleasure, check out the E-Ticket Report podcast. 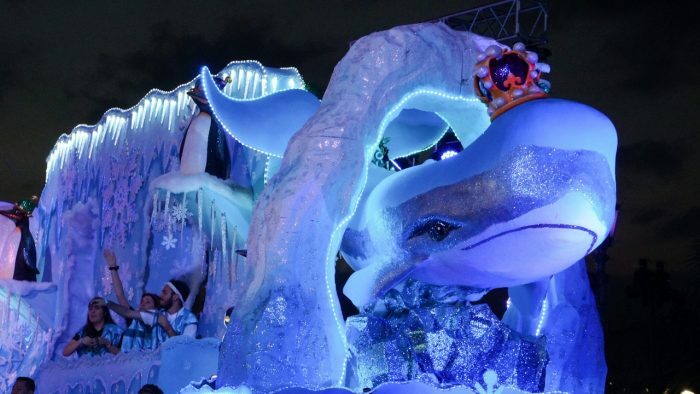 You can also follow Your Humble Author on Twitter (@derekburgan). Special Thanks to The Elite Brandon Glover, my personal protege Hunter “Elvey” Underwood, the bio-est of all reconstructs @bioreconstruct, Mr. ‘Ohana Tim Grassey, the SAT SIX Fun Squad of Parkscope Joe and Nick, hot shot Michael Carelli, the sweet siren of secret shopping Hedgehog’s Corner, and Hermione Granger’s tutor Megan Stump for their invaluable assistance with this article. 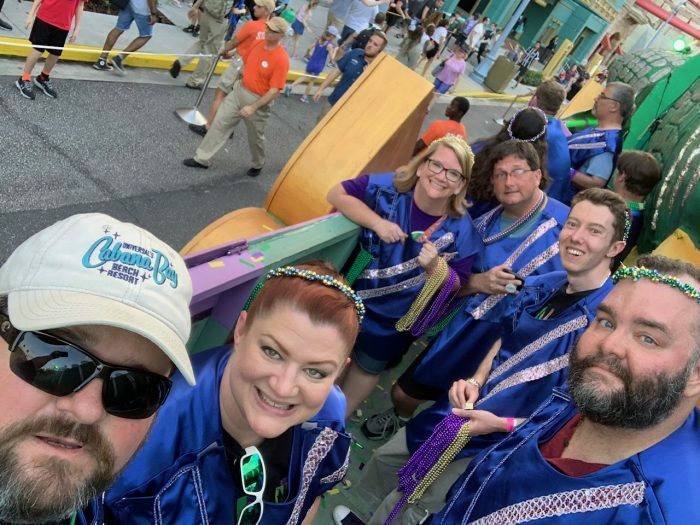 The SAT SIX is inspired each week by goofballs Aengus Mackenzie and LitemAndHyde and you Potterheads will enjoy Meg’s other blog work over at the Central Florida Slug Club. FINAL PLUG! 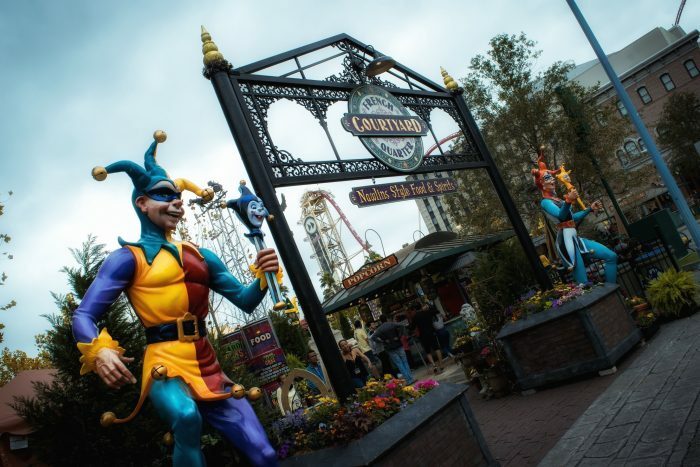 Did you know The 2019 Unofficial Guide to Universal Orlando has a special edition of the SATURDAY SIX in it?That’s right, ANOTHER NEW ONE EXCLUSIVE TO THIS EDITION!Finally, someone came up with an actual reason to read a book. 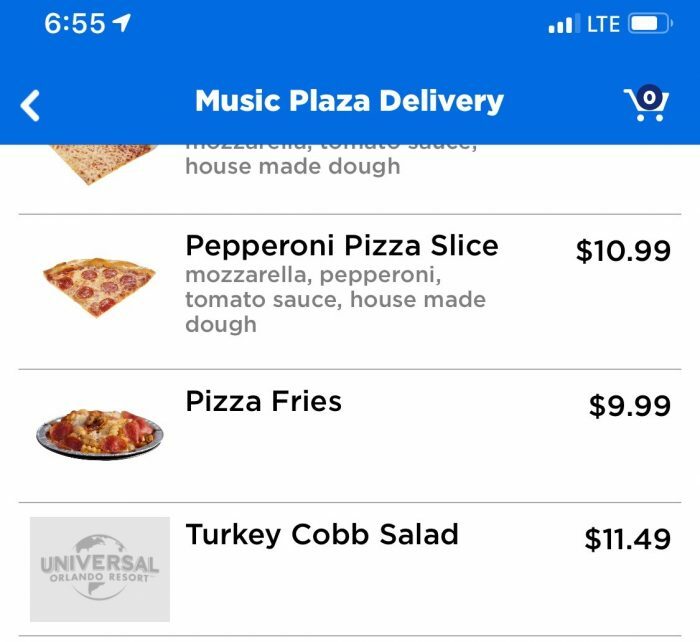 ORDER this baby now!